Establishing and maintaining positive collaborative relations with families is an important part of promoting learning. Being an elementary teachers requires me to understand and recognize the influence families have. Using a wide variety of strategies to collaborate with families is essential. I believe in being proactive in communicating with parents about what the class is doing, where we are heading and how we are going to get there. I have always advocated for enriched, relevant learning in the classroom. Collaborating with parents and families is an important part of a students education. When it comes to parents I use a wide variety of strategies to promote family involvement. Before the school year even starts I help parents understand the mindset and environment of my classroom. Parents and students walk into the classroom already knowing that my classroom is a 21st century classroom where curiosity and interests drive learning. I send home weekly newsletters, and use parent communication tools like Remind to stay in constant communication with families. I've created and maintain a class website where I can keep parents informed and share resources. Not only do I infused my classroom with best practices, and research based learning but I also invite parents to be a part of the 21st century learning that is going on in the classroom. My job as an educator is to help people understand the learning that's going on. It is important to show families that classrooms don’t have to be the traditional lecture based classroom they grew up in. Using tools and technology can be a great way for students to learn through active engagement in the curriculum. For example, when I started using game-based learning in the classroom I took the time to personally explain to each parent what game-based learning was and why I was using it in my classroom. I also invited families to be a part of what we were doing with MinecraftEdu. I opened up my classroom to families and it was a huge success. I also invited elders and teachers from the tribe to come and be a part of a project. People were impressed. One Tlingit leader wrote to me later and said “That was the most amazing thing I've seen.” Another elder was brought to tears, she said she didn’t know it was possible to bring old and new together like that. We must keep our families involved in classroom learning. We must educate our parents and families about any misconceptions they may have about 21st century learning. They need to understand that technology, making and gaming are tools that can be used to help students learn. In my class I support a strong partnership with families. Being proactive and open from the beginning has helped me gain support and reduce misunderstandings. 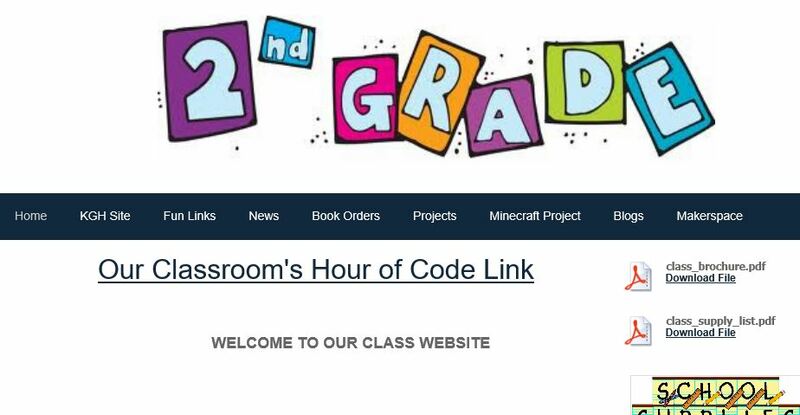 ​​My classroom website demonstrates my ability to keep parents informed and connected to the learning that is going on in my classroom. This invitation demonstrates my ability to collaborate with families and other in the community.